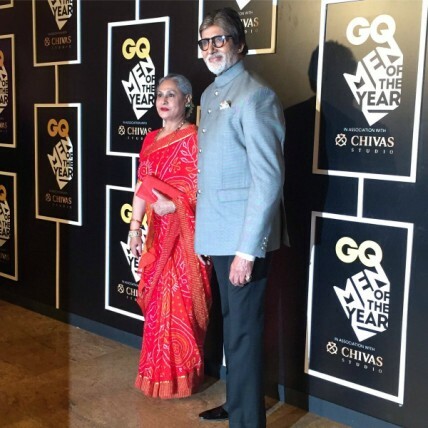 From the most dashing men and women of the younger generation to the legendary Amitabh Bachchan – Bollywood’s who’s who set the temperature soaring at the GQ awards function and after-party. And it was not just men from the film industry who were honored at this do, exceptional men from all walks of life were awarded for their work in their respective fields, and we must say, we love all the winners! Here are all the deets of the GQ awards. Ranveer Singh won the Actor of the Year award, and as always he entertained everyone with his antics and gave us many memorable moments as he bonded with BigB and Kangana Ranaut. Kangana Ranaut won the Woman of the Year award and looked stunning in the off-shoulder dress. 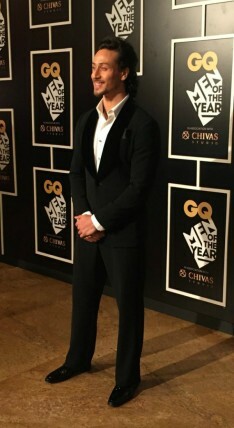 Tiger Shroff won the award for the Youth Icon and looked dapper in a tux. Vicky Kaushal too took away the cake and the award for the Breakthrough Talent. Radhika Apte was honoured with an award for Excellence in Acting. The suave Saif Ali Khan once again became the Most Stylish man of the year. And finally, the living icon Amitabh Bachchan was awarded as The Legend. Photographer Raghu Rai was awarded for being an Inspiration to all of us, while economist Ruchir Sharma won the award of being a Global Icon. PayTm’s Vijay Shekhar Sharma won the award for the Businessman of the Year, whereas Arunabh Kumar and Biswapati Sarkar of The Viral Fever (TVF) won the award of Digital Dons. Shantanu and Nikhil Mehra were named the best Designers of the year, and Abhishek Chaubey won the Director of the year award. Sudarshan Shetty was honoured as the Artist of the year, and Adar Poonawalla was named the Philanthropist of the year. Paralympics gold medallist and javelin thrower Devendra Jhajharia won the award for the Sportsman of the year. With so many hot men and women turning up the heat, this was surely one of the best parties of the year.